These are absolutely adorable Tracey! I loved playing along this month. The enamel elements coming out of the train are awesome! so clever! Love, love, love your family selfie! Wow Tracey! A lovely collection of cards. Each and everyone special in it's own way! Loving the Christmas selfie!!! And love love love your cards!! So gorgeous!!!!!!! Hello - such cute ideas! Are your kits for sale, or is this more a kind of membership club where everyone works with a special kit prepared by one of the members each month? Wow Tracey love how you used this kit. lovely cards! love your shaker and the little train card! cute family selfie too ;)!! Such a fun family pic Tracey! These cards are fabulous! I have to go check out the other posts. So sweet! Great cards and family selfie, Tracey! Happy New Year to you and your family! Every card is a gem... what a wonderful kit - wonderful family! What a cute photo of your beautiful family Tracey!! Your cards are absolutely adorable! Such fun baby cards!! Wonderful photo and wonderful cards!! Happy New Year!! Merry Christmas and Happy New Year! Love the selfie Family Portrait! So fun to have everyone home! 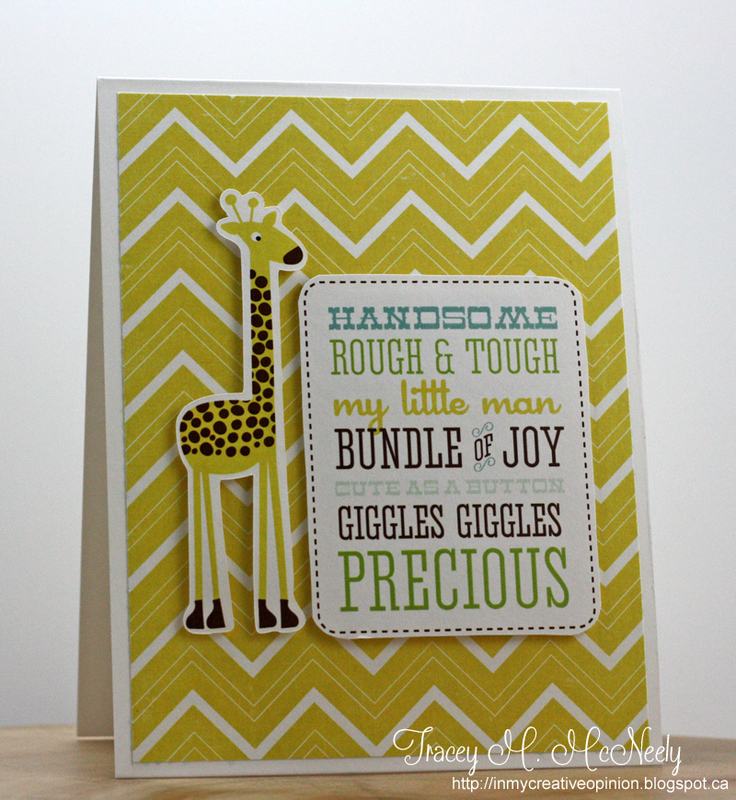 :) love all the fun baby cards! Each is precious! So sweet Tracey! Love the lineup at the end. Brought the whole theme into focus, perfectly! Speaking of perfect, what a lovely family! Way too good a pix for a 'selfie'! Happy New Year! Such sweet baby cards. And a great selfie of your family. Super cute cards. I especially love the train one with the enamel does for the smoke clouds. Cute family photo as well. 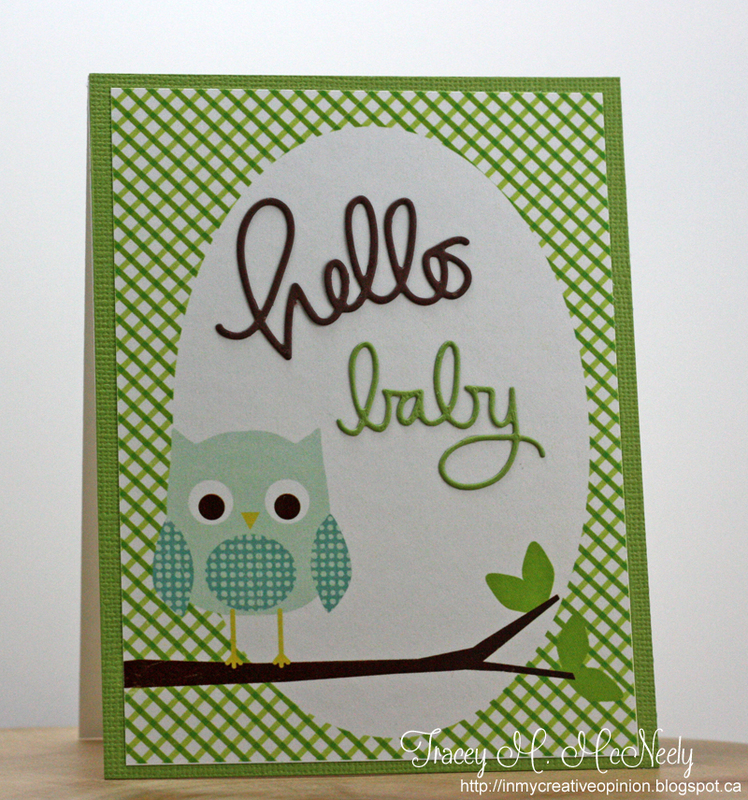 Sweet collection of adorable baby cards and I love it that we made one almost the same. So happy I left all my supplies scattered on my desk, so many sweet cards to CASE! Wishing you and your family a very Happy New Year! Gorgeous cards and beautiful family! Great selfie! Happy New Year to you! Wow wow wow! I love your darling family photo! 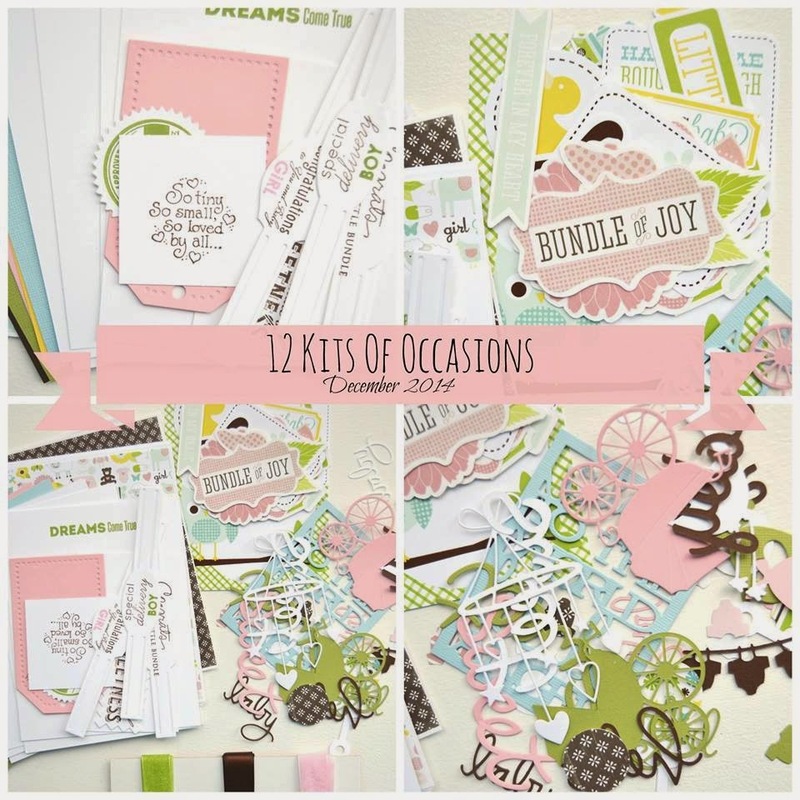 You are amazing with this kit--gorgeous showcase how versatile this set is! Wish you a very happy 2015, Tracey! 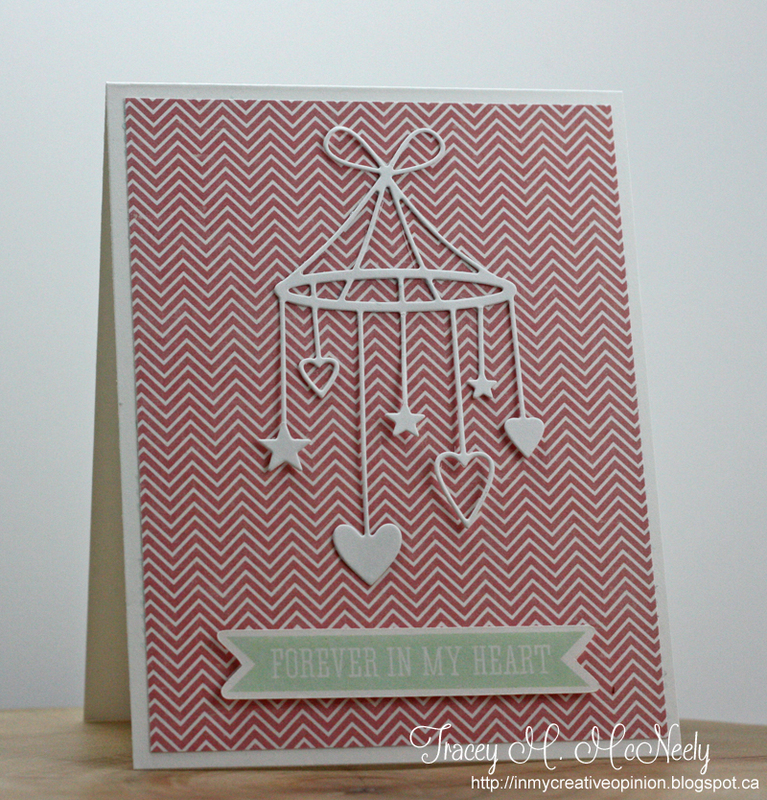 Baby cards as so much fun to make!! Adore the one with the mobile die! Love all of your cards. What a fun bunch. They must be self assembling, because couple of mine are similar to yours--programmed at the factory, perhaps? And, fantastic family selfie. Love them all , Tracey... but the dots on the train for puffs of smoke is just adorable! I love the photo of you and your beautiful family! Happy New Years friend! Love your family 'selfie', Tracey! You have such a beautiful family, and I'm so glad everyone was home to enjoy the holiday together...yay! Sending you my very best wishes for a happy and healthy New Year!!! Tracey, you said it perfectly...I totally want to CASE your cards!!! Each one is perfection! So glad that you were all together, and I love that you even got the dog in your cute photo! Happy new year, friend! Beautiful family photo - it's going to be a wonderful 2015 starting off like that! You have a beautiful family! I can't believe you made so many cards. I love your style... the train is AMAZING! My fave card here because it is so you... so clean... isn't missing a single thing. That white space still scares me. Love the color coodinating too - the giraffe with the yellow paper, and the SHAKER!!!! Ok so I love them ALL! Can you blame me? wow great use of the kit.. all of the cards are adorable.. Your family is the cutest..
Love your fun family selfie! All your cards are fantastic--so sweet and adorable! Hope you are enjoying some precious family time and you all have a very Happy New Year!! Such a great family selfie! And your cards are ADORABLE! Have a Happy New Year! So sweet! Love the soft palettes and itty, bitty details! And your family selfie is perfect! Happy New Year! 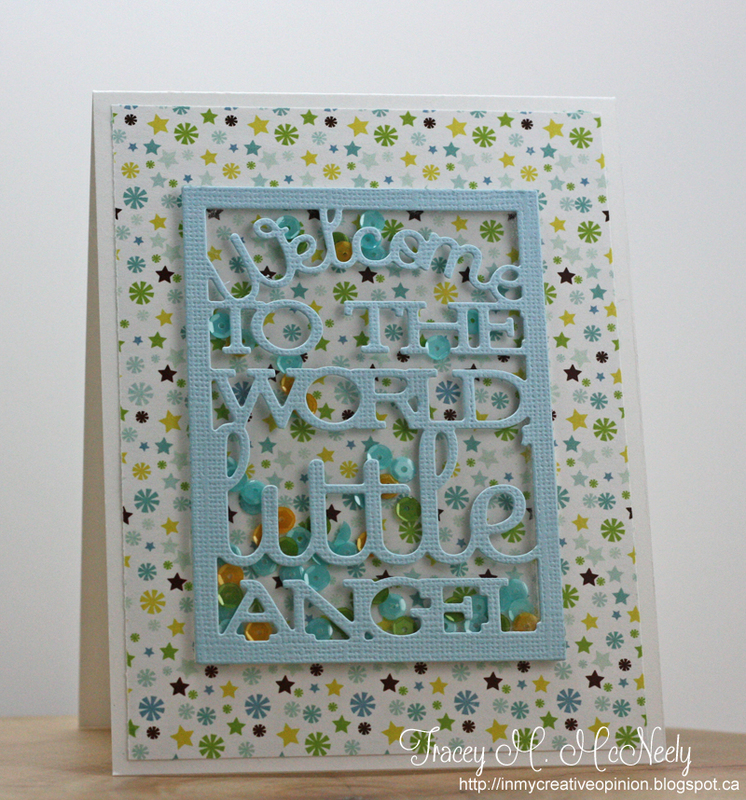 Sweet cards, Tracey! Not sure if I love the train card or the mobile more - both fabulous! LOVE the McNeely selfie, even sweet Sam got into the picture!! 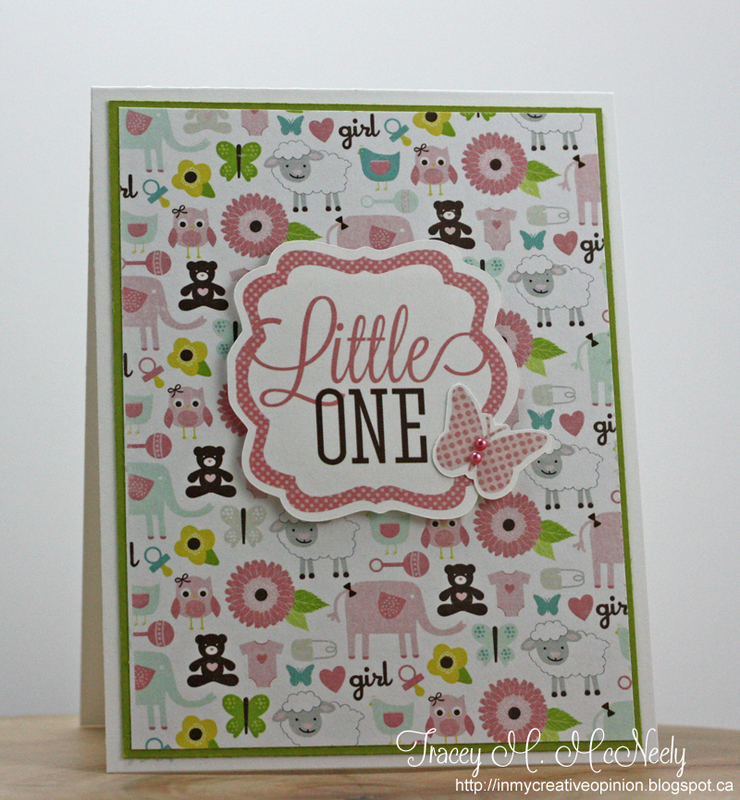 CUTE CUTE baby cards, what a great kit this month!! Almost forgot to wish you a HAPPY NEW YEAR!! I've waited an entire year to get to see my baby kit displayed in that window of yours! It looks as good as I imagined too...love everything you did with the kit, especially the cute shaker card and the little giraffe...lots and lots of inspiration for the leftovers I have too! Thank you for making my kit look so CUTE! Happy New Year! Great selfie, Tracey! And wonderful cards from the kit. Happy New Year! Another great collection! The white baby mobile is so sweet. Always fun to see what you do with these kits! Hello, wonderful friend! Aiming to catch up on your lovely galleries and these cards celebrating 'new' are a perfect start! You signature style of clean, fresh and STUNNING shines through each one. So incredibly gorgeous - and the line up on the window sill is a runway of outstanding beauty!